The devil had his workshop here in Belarus. The deepest graves are in Belarus. But nobody knows about them' A young boy grows up in Terez n - an infamous fortress town with a sinister past. Together with his friends he plays happily in this former Nazi prison, scouting the tunnels for fragments of history under the careful eye of one of its survivors, Uncle Lebo, until one day there is an accident, and he is forced to leave. Returning to Terez n many years later, he joins Lebo's campaign to preserve the town, but before long the authorities impose a brutal crack-down, chaos ensues, and the narrator finds himself fleeing to Belarus, where fresh horrors drive him ever closer to the evils he had hoped to escape. 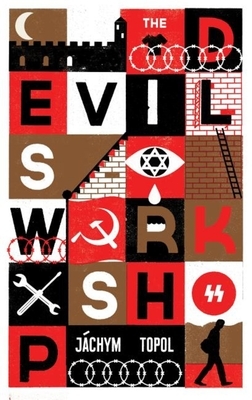 Bold, brilliant and blackly comic, The Devil's Workshop paints a deeply troubling portrait of two countries dealing with their ghosts and asks: at what point do we consign the past to history? JACHYM TOPOL is an award-winning writer who was famous in his youth as an underground poet, songwriter and journalist, and now for writing books that have most successfully and imaginatively captured the dislocation brought about by the fall of Communism. His novels include Gargling with Tar also published by Portobello (2010).